This Stainless steel 3 LED in ground walkover light is great for showing the way at night. The circular in-ground fitting features three white LED lights and the latest energy saving technology to light your drive, patio and pathways at night. Stainless steel head containing 3 x 1w white LED’s. Mains voltage with an integral driver, supplied with an in ground installation kit. 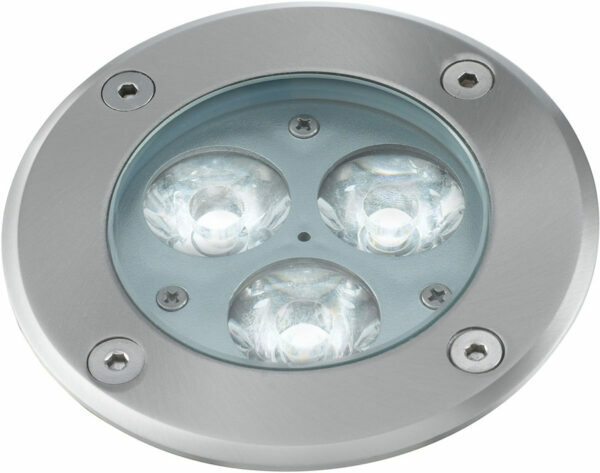 A high quality stainless steel ground light with three high power LED’s. 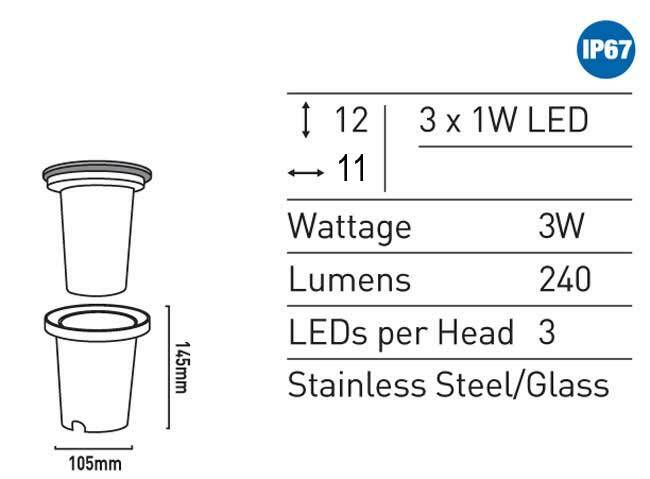 Rated IP67, this LED light can also be used in decking, patio flag stones and all bathroom zones including wet rooms. What size is the hole cut out? Hello Neil, The cut out for this fitting is 105mm. Kindest Regards, John.